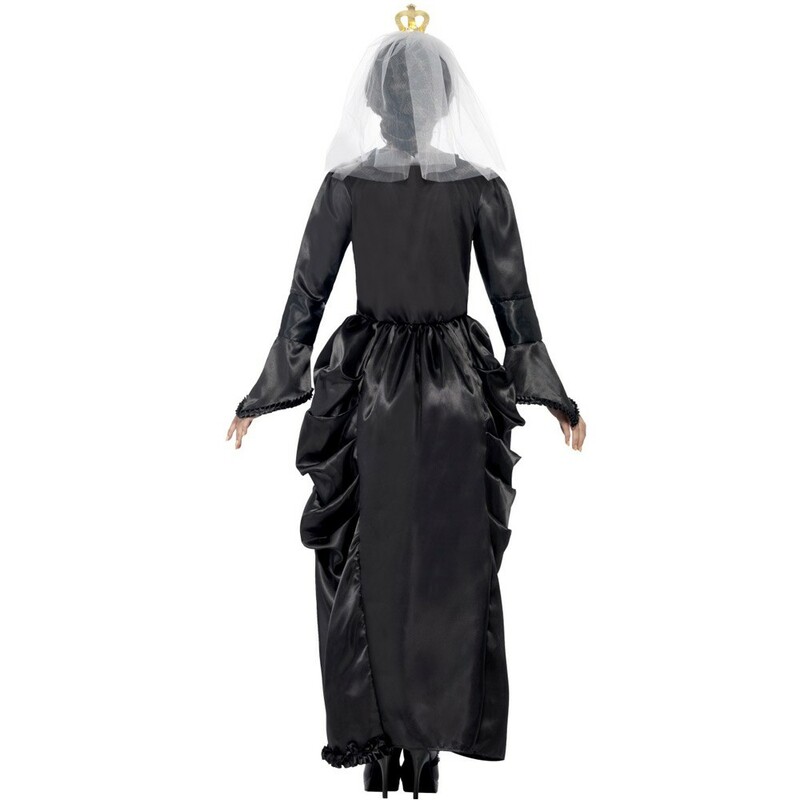 A Deluxe Queen Victoria Costume including a Dress and Headpiece – Ideal for a Historical theme, an Icons theme, a Royal theme, or any fancy dress occasion! Transform yourself with this with this stunning Deluxe Queen Victoria Costume and be a royal for a day! 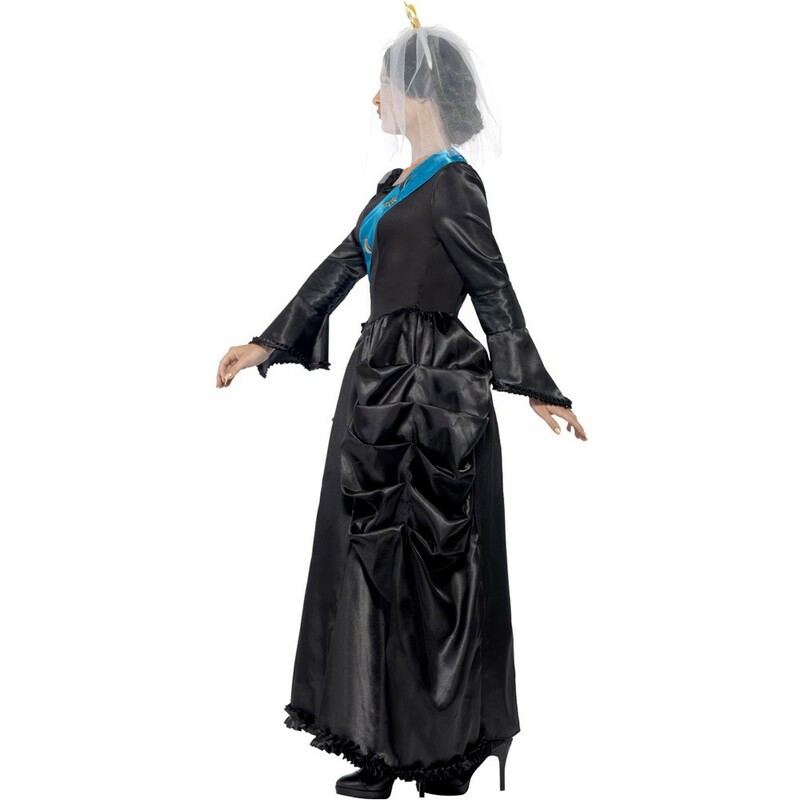 This gorgeous Deluxe Queen Victoria Costume includes a Dress and Headpiece. This long black satin Dress features long sleeves with a with a bell shaped sleeve with a lace trim around the cuff cuff, a long skirt which features a bustle design with gathers on both sides for this authentic look. The Dress also features an attached blue Sash with a medal motif. Complete this Deluxe Queen Victoria Costume with the Headpiece, which features an Crown design and attached veil for this authentic look. Perfect for a Historical theme, a Royal theme, an Icons theme, or any fancy dress occasion, you’ll be sure to stand out from the crowds! 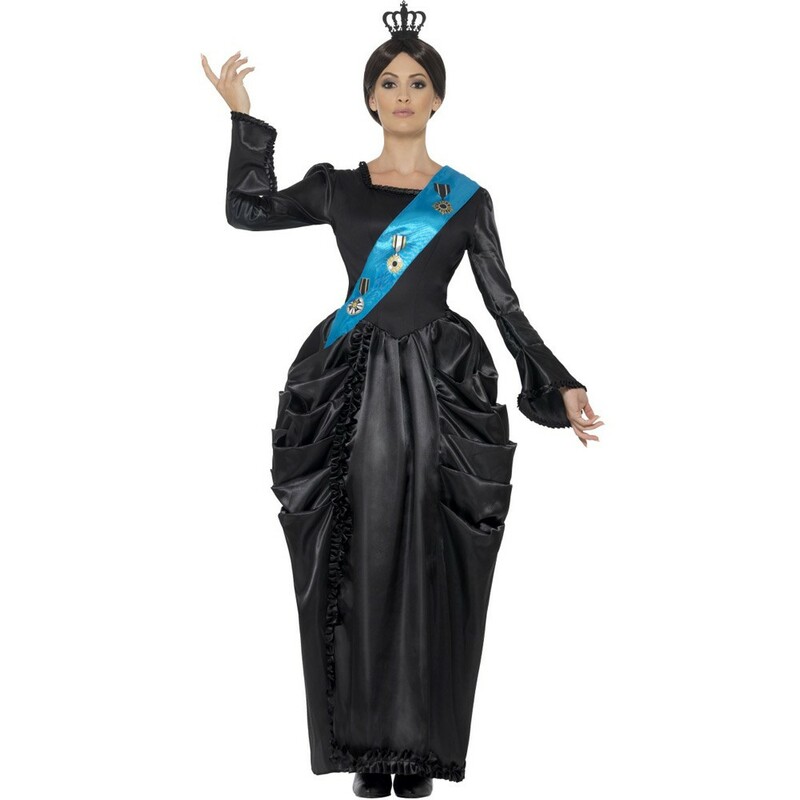 So play this famous Queen in mourning as you transform with this brilliant Deluxe Queen Victoria Costume! A Deluxe Queen Victoria Costume.